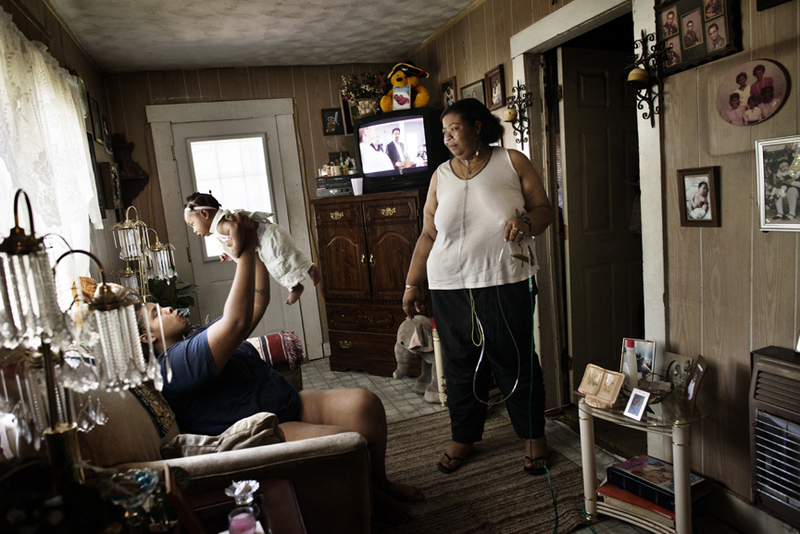 Vonda Wells, 41, stands with her Oxygen supply at home with her daughter, Brandyce Wells, 19, and Brandyce's four month old daughter, Imari, in Clinton, Mississippi, September 29, 2012. Vonda suffers from Asthma, High Blood Pressure, congestive heart failure, and is a survivor of stage four Hodgkin's disease. she is on Medicaid. Mississippi has some of the highest rates of diabetes, obesity, infant mortality, AIDs, among other ailments, in the country, and though millions of federal funds have been thrown at the problems for years, conditions have only gotten worse.